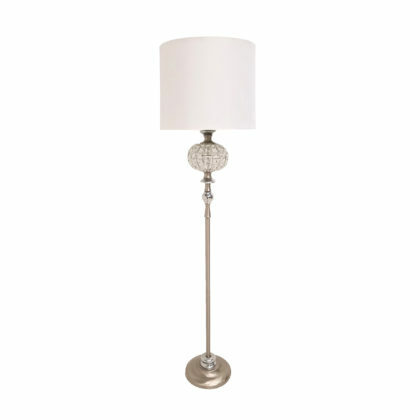 Add some glamour to your space with this beautiful floor lamp. Features a crystal ball along the stem and a beautiful cream shade. 17" x 17" x 64"